After some self-released cassettes under several different monikers, HNAS' debut LP from 1985 came out with two band names on the cover. At first glance, it appears to be a collaborative album made by two groups, but it's really just one. They would eventually stick with Hirsche Nichts Aufs Sofa, of course. If that's not confusing enough, consider the history of HNAS reissues. 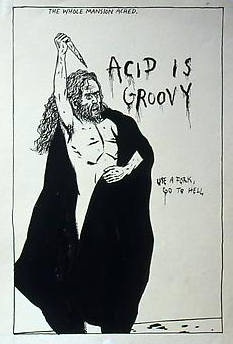 Apparently, the band's mid-1990s split was a messy one and members Achim Flaam (aka Achim P. Li Khan) and Christoph Heemann disagreed on who owned the rights to their albums. Several were issued as small-run CDRs on Heemann's Streamline label, each one with unique handmade art. Others came out as pressed CDs with loads of bonus material on Flaam's DOM label. Earlier tapes appeared on a CDR label called G. Gonge, which people seem to believe was a product of Flaam himself, though no one can say for sure. Today, everything is out of print and unavailable. That's a shame, considering how strange and wonderful all of these recordings are. This post here contains the DOM CD version of the debut LP "Abwassermusik", recorded in 1984 and 1985 and first released by the Psychout label in '85. 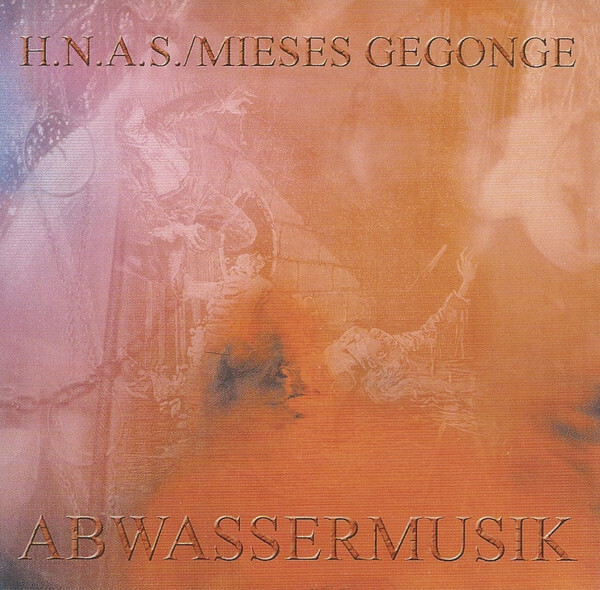 The bonus tracks include an unreleased session from 1985, one track from 1983 that might be the earliest HNAS recording, two tracks from the 1985 "Chormborssie" cassette recorded as Mieses Gegonge, plus compilation tracks from the same era (taken from "Contactdisc 3", "Dry Lungs" and "Zamizdat Trade Journal 4"). Thanks for this up & the reups! thanks for this and that.